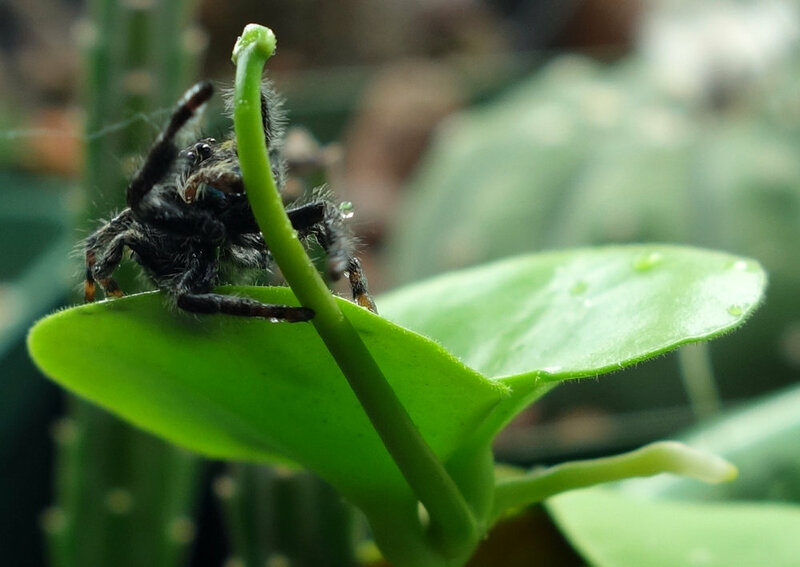 My New Phidippus Audax Roommate! Happy holidays! 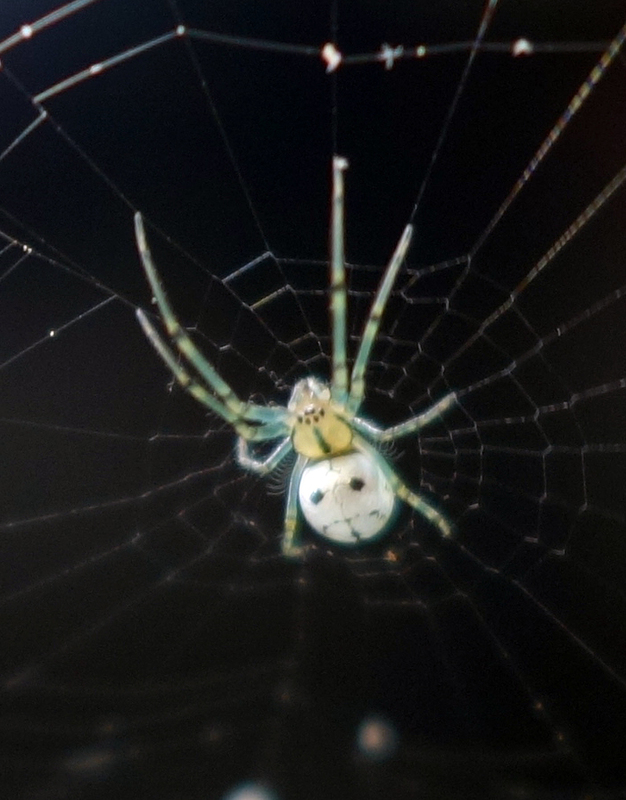 Here to celebrate with me is my new spider friend, Audrey. 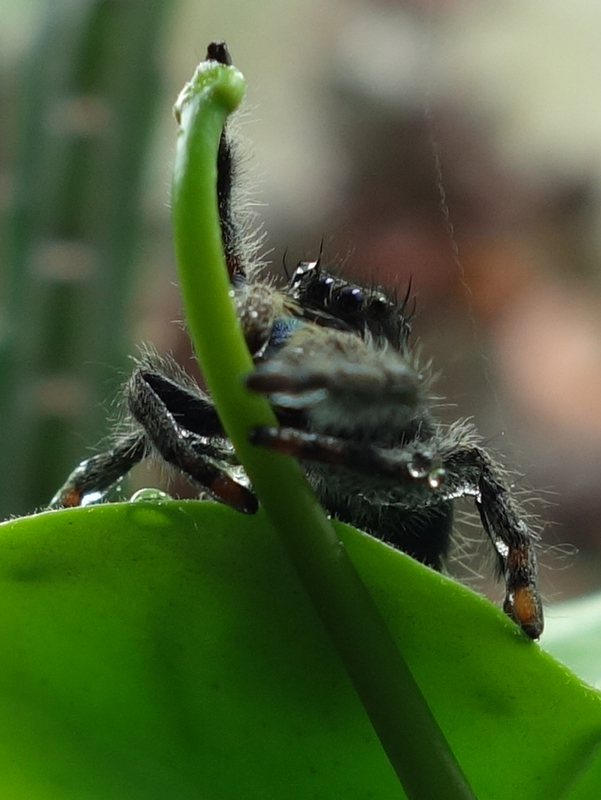 She's a bold jumping spider (Phidippus audax). 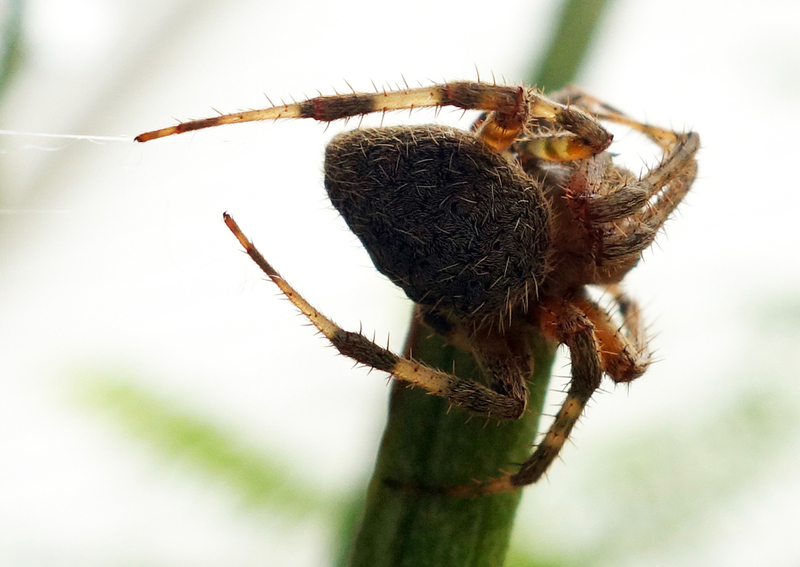 She must have hitched a ride indoors with me when I relocated all my plants in for the winter, but she's preferred to maintain a very low profile and only popped out recently (and only for two days). There's a whole small ecosystem going on with my outdoor/indoor plants - there are ants, and beetles, and mites, and spiders... 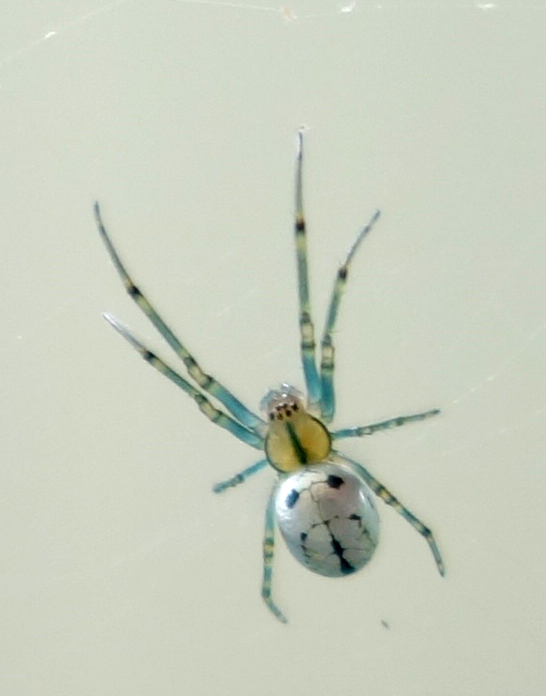 I could nuke them all with neem oil or diatomaceous earth, but as long as they aren't harming me or causing significant damage to my plants, I like being able to support the local fauna and they in turn pollinate my plants or like Audrey keep them safe from pest species. 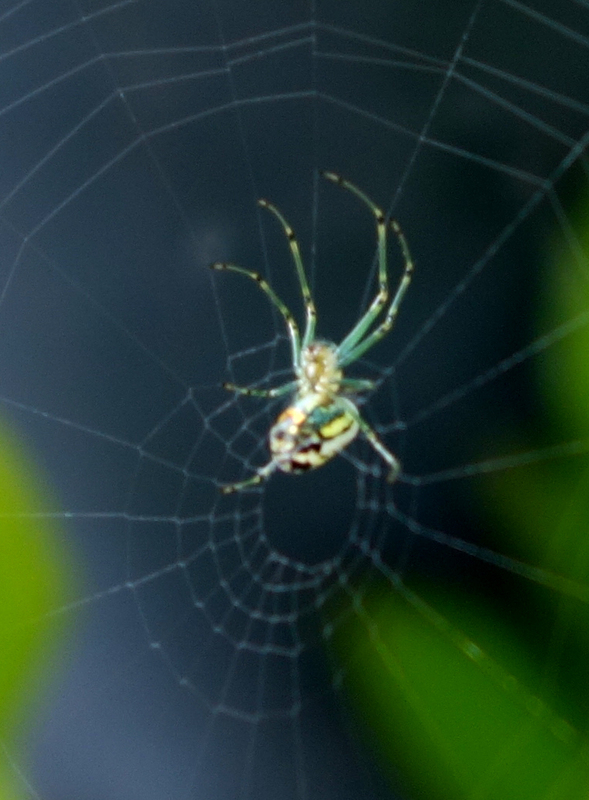 I watched her hunt for prey on at least ten different plants, but due to the way in which I've set up my collection, I couldn't get clear photos on her on most of them. 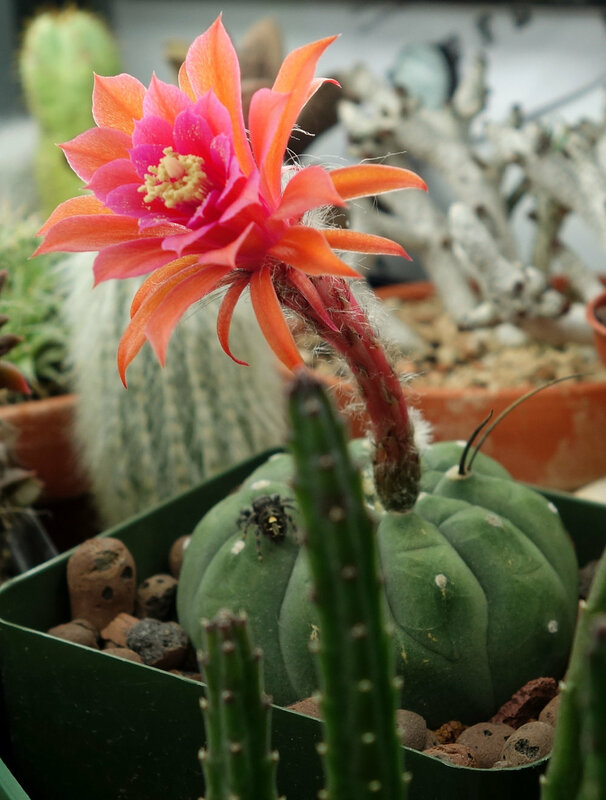 The best photos of Audrey are of her posing atop my Matucana madisoniorum which serendipitously was in bloom at the time! 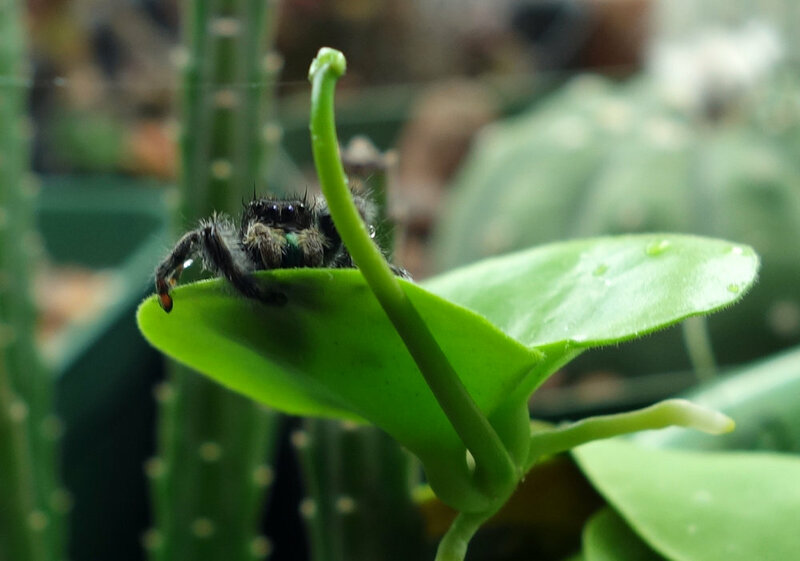 I also have a couple okay photos of her on my Anacampseros rufescens.